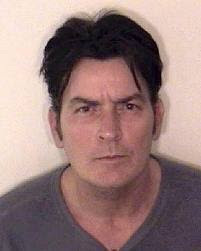 As of today, the latest news about Charlie Sheen is really devastating that could be a reason for his career to end. Authorities remove his sons from his house following the event over the weekend. Brooke Mueller said that Charlie Sheen threatened her saying, "I will cut your head off, put it in a box and send it to your mom," What a scary statement indeed and the court acted what is right for the safety of Brooke Mueller and the children. I wonder if he is thinking clearly about what's going on around him. He is into himself too much and started to believe in all his lies. That's what drugs can do to people who has everything and wanted more for himself. Charlie Sheen is Insatiable of Fame and Fortune! For him to realize all these goodness of Life that he have is to go DOWN. This is the moment of his life where denial and defense mechanism will be his friend. Too bad, there are so many celebrities who wasted their life on drugs! He is One of them! This news is making waves over the internet this past few days. We were even surprised after learning that his TV hit show was being unplugged following his erratic interview. Whew!! that's how the life of celebrities evolved. Anyway, thanks for the visit gwafa... kadugay na nako wa ka update sa imohang life diha. Wow.. nag vacation ka diay sa Phils.. kalami kay naka beauty rest jud. Ay addict na diay ni sya, tama jd ka amz dghan na mga celebrities na addict sa drugs instead of gamiton ila kwarta in a nice way..